Often when travellers or students visit countries within Central and South America with the intention of learning Spanish, they will often immerse themselves in the language and local culture by living with a local family whilst taking lessons at a Spanish school. This is what is known as a ‘homestay’. ‘Homestays’ can be very beneficial for students. They give the student the opportunity to interact and communicate with native Spanish speaking people in a completely natural environment. It provides a continuous forum in which to practice speaking Spanish and to practice listening to it. Not only this but it gives the student great insight into local culture and ways of life. From my own experiences I would highly recommend ‘homestays’. I stayed with a local family in Antigua, Guatemala for two weeks whilst studying at a local school. I had my own room and was made to feel like one of the family for my entire stay. One of the best things for me was that nobody in the family could speak a word of English. I was forced into speaking Spanish all the time. Back then my level of Spanish wasn’t great but I still managed to communicate well enough. Being forced into a situation where you have to communicate in only Spanish can act as a stimulus to the entire learning process. The desire to be understood encourages learning! The family I stayed with were very accommodating and were more than happy to converse with me and include me in the normal family activities of the normal day. I would sit down with the family at breakfast, lunch and dinner and would often sit around the table in the evening talking or simply watching TV. One of the benefits of combining Spanish classes with a ‘homestay’ is that you can practice or test out the things you might have learnt during that day with the family you are staying with. I would deliberately try to include new words, or specific bits of Spanish grammar into conversations I was having with the family. Often they would correct me or suggest other ways of saying what I was trying to get across to them. Living with a native Spanish speaking family gives the student great exposure to the Spanish language as it is spoken in that particular region of the world. I have said many times before in previous articles that the more listening practice that the student can get the better. The act of listening intently for long periods of time can actually be quite gruelling but the more you do it, the easier it will become. Your brain will slowly but surely become accustomed to hearing and interpreting Spanish sounds. I talk much more about listening techniques in a later lesson. Being in a family environment also gives the student exposure that is completely natural. Conversations that are had around the breakfast table for example are those that any family might have and are therefore completely relevant. The conversations you might have in any one typical day could probably fill an entire textbook of made up role-play exercises. The day will be crammed with continual practice and the best thing is that it won’t even feel like studying! The size of the family you decide to live with will also dictate to some extent the types of conversations you might have. It is a good idea to immerse yourself in a larger family unit if possible and one that has children. The more people you can talk to the better. I remember one afternoon sitting down with the 9 year old daughter of the family I stayed with watching ‘Scooby Doo’ on the TV in Spanish. I had a lengthy conversation as best as I could with her about cartoons and which ones were my favourites and why. It isn’t often you would get to talk about something like that! Because my ‘homestay’ family included me in pretty much everything they did they also invited me on a night out. It was the mother’s birthday and we celebrated it by first having a traditional meal at home and then going to some bars and finally a club. It was a great experience and a lot of fun. Although I didn’t really think about it at the time it was another example of a completely natural situation where I could practice speaking Spanish. After the two weeks were up I really felt that I had bonded with my family and I know I my Spanish benefited from it enormously. I felt more confident when speaking to people from then on and the combination of lessons and family living really helped to improve my overall level of Spanish. It really was a great adventure and an entirely worthy experience in every way. If you are looking for a complete cultural immersion experience then I would highly recommend a ‘homestay’. In this article I have said how important it is to practice listening to spoken Spanish. The more listening you do the better. Joining a ‘homestay’ program is certainly one way in which you can achieve this. In my next article I discuss in more detail different listening techniques and how you can benefit from them. Everything you need to learn Spanish. The complete Spanish language resource centre. 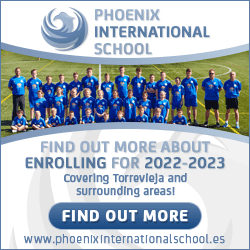 Video and audio lessons, Spanish vocabulary, pronunciation guide and much more. Learning Spanish – 5 free demo lessons. If you like what you see then become a Spanishexperto member and have access to 35 Spanish lessons covering all major aspects of Spanish grammar. Audio and video with online quizzes!